To dine with wild guests at Giraffe Manor in Nairobi. Isabella Blow, William Banks-Blaney, Holly Willoughby, Keith Richards, Heidi Thomas, Emma Freud, Mary Portas and Tom Hardy. A live wire that’s never short of bold ideas, Ellie brings extensive experience from time spent in some of the UK’s leading agencies. 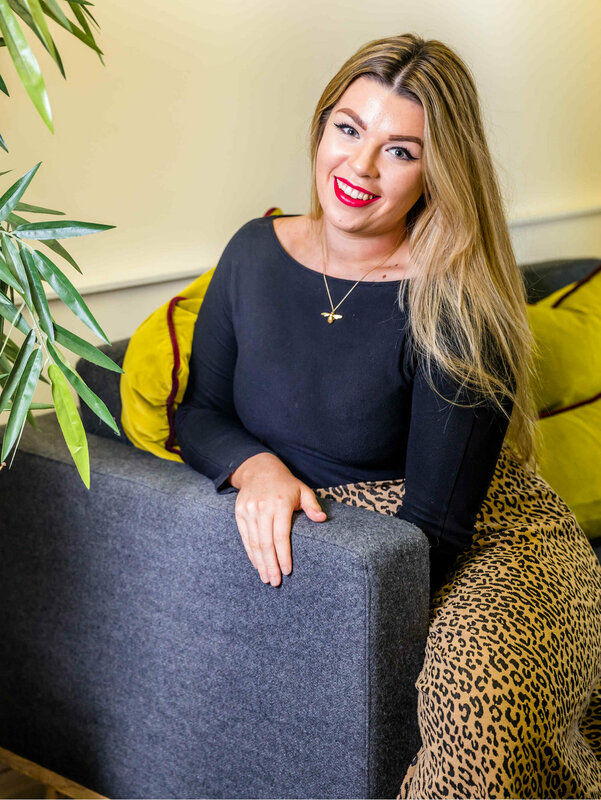 Ellie joined Bloxham PR from PR Week top 35 consumer agency Speed Communications and prior to this headed up the lifestyle division for a boutique agency after time spent at Harrods. Ellie’s client credentials span an eclectic mix of arenas including fashion and food, leisure and lifestyle, and consumer and travel. She has been privileged enough to support a vast and varied client portfolio of top talent and household names such as Hotel du Vin, Deliveroo and Pro Plus. Her specialism lies in events and experiential PR, having also represented RHS shows, fast-paced fashion weeks and executed more media launches than she’s had hot dinners. With a dogged drive to deliver, Ellie loves nothing more than getting under the skin of an account to devise a solid strategy, underpinned by robust tactics that deliver outstanding results to exceed all expectation. Her warmth and passion for people ensure she will fast become an extension of your own in-house team, quickly feeling like one of your own. Ellie’s career highlight would be accompanying client Simpsons Fish & Chips onto This Morning as they served up Fish & Chips to Holly & Phil on that infamous hangover episode following the NTAs – that was a great day at the office! In her spare time, Ellie is also a celebrity feature writer for a top luxury lifestyle magazine, keen Instagrammer and proud owner of Pepper the sausage dog.